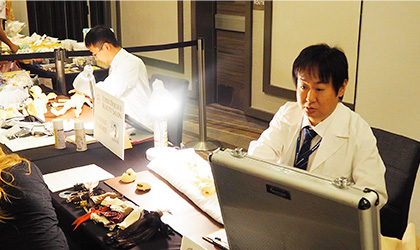 Satogaeri Service | Dolls Party in LA 4 2019 | VOLKS USA, Inc.
Would you like to refresh your Super Dollfie® with our Satogaeri Service? 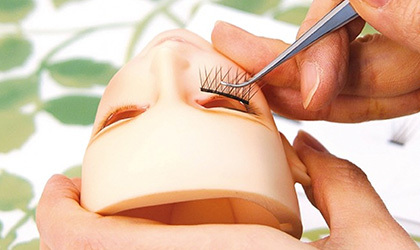 Dollfie® Doctors will perform doll maintenance services and beauty treatments for people who want their SDs to remain in their best condition. "Basic Treatment" includes all Satogaeri Services to refresh and maintain your Super Dollfie®’s body condition. Certificates may be requested depending on the SD. Personal ID will be requested for the service to One-Off and Full Choice Models. Depending on the requested services and the SD’s condition; the doctor will inform you how long the service will take and where it will be performed. Please be aware of the service time lengths in advance. Your SD can go home on the same day. Doctor will perform services at the salon while you wait. Your SD will be sent to Japan for treatment. Q.Can I request to apply these services to SD parts that I’ve exchanged through the Trade Exchange Service? A.Yes. Please answer "Yes" on the extra questions section on the Application Form if you would like to order both services. This service may require a longer processing time to complete. Please make sure to check the detailed information for the Trade Exchange Service. Q.If my SD requires Long-Term Treatment, how long will the treatment take? A.The procedure time will depend on the services required for your SD and will be determined by the doctor during your SD’s check-up. Q.When do I need to pay for shipping? Where will my SD be sent back? A.VOLKS USA will calculate your shipping fee from the address provided on the Application Form. We will contact you through email and send request payment prior to delivery. Please make sure to contact us, if your information will be changed in the future. Q.Will I be able to attend the Tea Party with the SD that I brought for this service? A.We will not be able to return your SDs once they have been checked-in for Satogaeri. Please attend our party with another one of your beloved SDs.